Every popular MBA institute conducts or participate in an entrance exam as a part of their selection process to take admissions in MBA program. Every year thousands of students participate into these exams. It's really important for MBA aspirants to know about the various popular MBA entrance exams available in India. To help students in choosing the right MBA entrance exam we're posting a list of popular MBA entrance exams. Most of the entrance exams conducted once in every year like CAT, XAT and some other conducted more than once in a year like MAT. The motto behind conducting entrance exam is to judge a student how he'll perform on tasks or react to different situations. 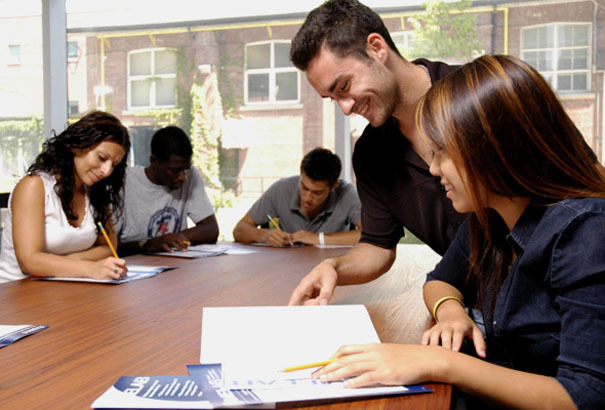 This helps institutes to select the right students for their MBA program. There are many state level & national level entrance exams are available in India but following are more popular. CAT is most popular entrance exam available in India conducted by IIM's. All IIM's and 100+ other institutions around the country takes admission through CAT. It is most prestigious aptitude test in India. IIM conduct this test during October-November every year. Students can get more details about the test on http://www.catiim.in/ . XAT is second most popular entrance exam in India conducted by XLRI, Jamshedpur. The institute conducts this test every year in the month of January. For more than 60 years XLRI is conducting test & test score is being used by more than 100 institutes for the admission.In India test conducts in more than 35 cities & internationally in Dhaka, Dubai & Kathmandu. Kindly visit http://xatonline.net.in/ for more information. The third test which is popular in India is SANP. The test is conducted by Symbiosis International University. The tentative date for exam is December. The test is a common and mandatory written test for the admission to all the Post-Graduate Programmes of Symbiosis International University. To know more about how to apply for the test & registration process kindly visit http://www.snaptest.org/. MAT is another aptitude test conducted by All India Management Association. The association conducts this test 4 times in a year in the moth of September, December, February & May. Approx 300 institutions across the country participate in every MAT exam. You can find more information about the test on http://www.aima.in/testing-services/mat/mat.html . IRMA conducts its own aptitude test for taking admission into its two-year residential programme leading to a Postgraduate Diploma in Rural Management (PGDRM). The tentative date for the test is in December. You're advice to visit https://www.irma.ac.in/ for more information. Every year IIFT conducts a Written Test followed by Group Discussion, Essay Writing and Interview. The institute conducts this test in November. Test is being conduct in all major cities of the country. you can refer IIFT website for more details http://www.iift.edu . IBSAT is an aptitude test conducted by the ICFAI Group, for students seeking admission into its management programs. It's a two hour Computer-based Test (CBT) conducted across 95 test centers all over India. Visit http://www.ibsindia.org/ for more information on this aptitude test. SVKM's Narsee Monjee Institute of Management Studies conducts a common test called NMAT for taking admission intoTwo Year Full -Time programs MBA, MBA – Banking, MBA – Capital Market, MBA-HR, & MBA-Pharmaceutical Management at Mumbai campus and PGDM at Bengaluru & Hyderabad Campuses . The institute conducts this test during a test window between October-December. Please visit http://nmims.edu. Apart from the aptitude tests mentioned above their are many other popular national level (e.g CMAT, ATMA, TISS) & state level (e.g UP-SEE, MAH-CET, TAN-CET, UPMCAT, RMAT) test are available.